The Sea Loft is a second floor open plan apartment with a queen bed, fully equipped kitchen, living/dining area, sun porch, and balcony. The unit has cathedral ceilings and both carpet and tile floors. It’s a peaceful, romantic escape just steps away from the Gulf of Mexico. 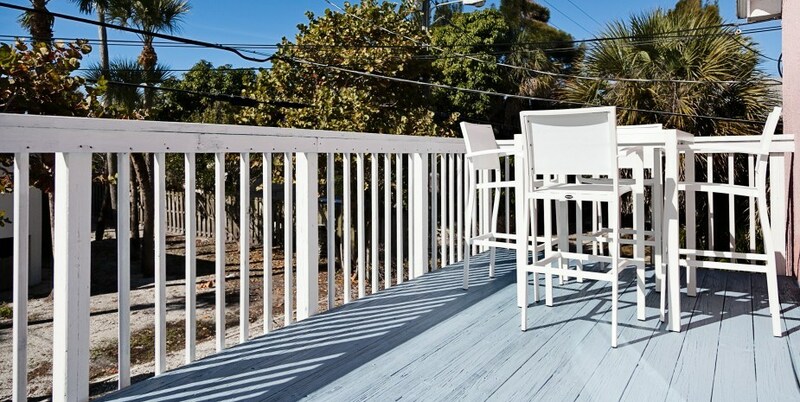 Treat yourself to a stay in this lovely beach-casual apartment. This private apartment sleeps two adults only.